So it happened. I finally had my lightbulb moment and decided we will no longer be encapsulating placentas in our own kitchens. From here on out, your placenta will never leave your possession. I was encapsulating a placenta in my clients home the other day, and while I was there I was able to help her get her baby latched on, since she was having difficulties breastfeeding. I reassured her that she was doing a great job with everything. I left her with a clean kitchen and with the confidence that her placenta was handled properly and with care. She was able to see how diligent I am about disinfecting my equipment and she never once doubted that the placenta that was in her kitchen was hers. She never once doubted that I didn't add anything to her placenta or that I wasn't bringing her someone else's placenta. Unfortunately, this is not always the case in our community. When I had my own placenta encapsulated (before I became a specialist), it was done in the specialist's home and it was not done properly. Herbs were added to increase yield and potency (that's not how it works). The encapsulator told me after she processed my placenta that she did this. I'm mortified now and wish that I would have hired someone to do it in my home so I could observe their technique and have the ability to ask questions. You can't smell it because you are not in my kitchen, but my own personal capsules smell strongly of jalapeño. You can see the herbs in them once broken open. I've asked other encapsulators for their thoughts on my findings as well. Obviously the placenta is not ground finely, but there is more to it than that. This appeared to be a string. No idea if it was from a mesh strainer or if maybe it is not a string, but part of the membranes or ginger. The string, ginger or membrane removed and dissected. This is shiny and red. 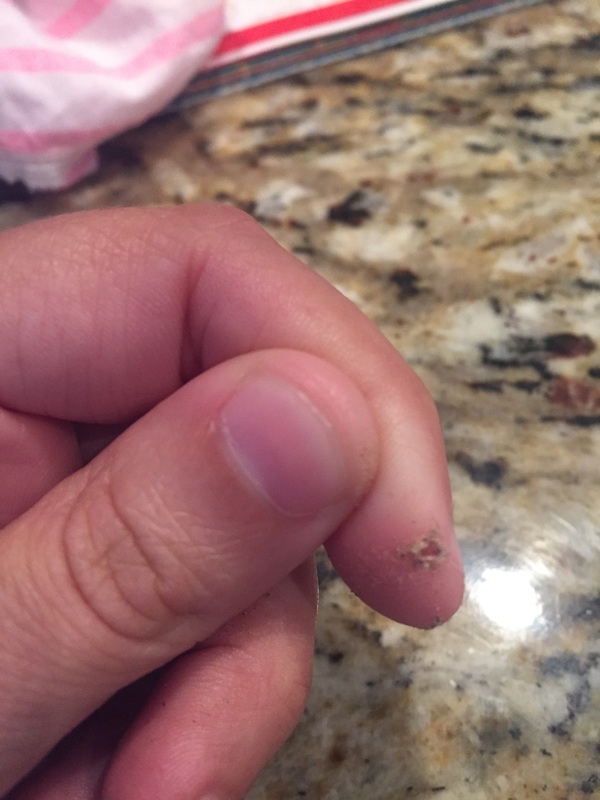 Could be membranes or it could be sticker from the herbs that were dehydrated and ground up with my placenta. My thoughts are parts of the lemon seed, because I cannot think of any part of the placenta that would appear like this. Nor could anyone else. Someone suggested a lentil and someone else suggested maybe chamomile. All good guesses and theirs are about as good as mine. The lighter colors are membranes, the bright white is ground jalapeño seeds. It was sampled for research. 😉 The large black rocks are dehydrated placenta that was not ground up completely. I was reading this morning, in one of the placenta encapsulation groups I am a member of about donor placentas. 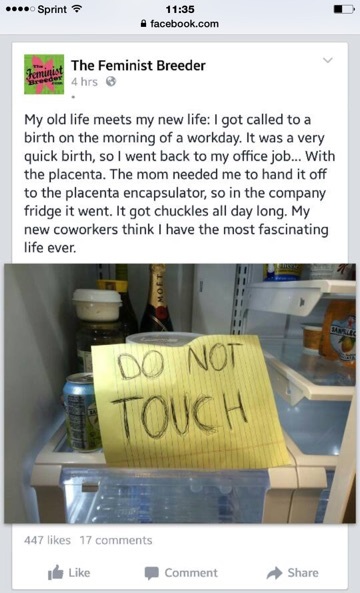 Apparently there are encapsulators that have donated placentas in their freezers to use in case a mother's placenta becomes unusable for some reason. This is a terrifying thought! Our clients will no longer have this doubt. We will no longer leave the hospital with your organs. 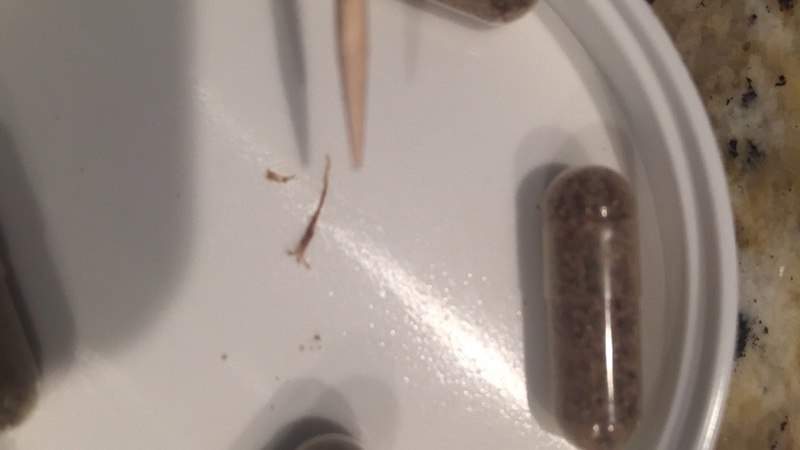 We will provide our clients with a transportation kit and will encapsulate in their homes where they can observe our technique, ask questions and know without a doubt the placenta capsules they take are 100% their own. If a client decides one day to break open their capsules, they won't be playing a guessing game on what they are looking at. They will know without a doubt that it is 100% pure placenta. They might be able to guess between membranes and placenta, but they will know it is meant for consumption regardless. At Baton Rouge Birth Services, we have always taken great care of our clients placentas when encapsulating in our homes, but we no longer feel comfortable leaving doubt in our clients minds about how clean our kitchens are or if our kids have touched your placenta. I never want to have to explain to a client that my dog ate their placenta. (These are all things I've heard about by the way). You can read more stories here and here. We want you to be confident. We want you to have no doubts. We want to have the opportunity to support you beyond the 3 minutes spent dropping off your capsules. That's what has driven us to this decision: we want to raise our standards. You won't have to worry if your organ was in a company freezer or placed in grandma's freezer while your doula or placenta encapsulation specialist was visiting. When you think back on your placenta encapsulation experience with Baton Rouge Birth Services, we want you to be confident and have felt supported. We don't want you to wonder if this was going on while your placenta was in our possession.